interviews | Page 2 | Challenger, Gray & Christmas, Inc. Employers are currently attempting to attract talent in a tight labor market with a significant skills shortage. While jobs are abundant, employers need to be vigilant during the interview process as some job candidates may not be who they seem during phone interviews or online skills assessments, especially for jobs that require advanced technical skills. Interviews are stressful. In an annual Challenger survey of job seekers, 37 percent of respondents cited obtaining interviews and interviewing well as the most difficult part of the job search on average. One question almost always comes up in interviews, and developing a solid answer could get you one step closer to landing the position. Most hiring managers agree a thank you note is crucial to the interview process. We have heard hiring authorities say they have taken candidates off their lists when they failed to receive one. It's easy to do, and yet many job seekers forego the thank you. Below are a few tips on making the most of your thank you notes. Job Search Monday: Go Ahead, and Brag! Read more about Job Search Monday: Go Ahead, and Brag! 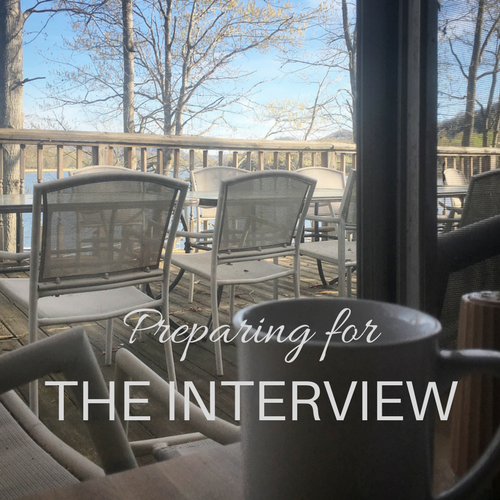 The interview is the final step in the elimination process, and the most important one. Nobody obtains a position without an interview or a series of interviews and, in most cases, the difference between the person who gets the job and the one who does not is the manner in which the successful candidate handles it. Our coaches often hear about a number of frustrations with the job search process. Below are the top ten! Interviews remain one of the most anxiety-inducing aspects of the job search. Once the resume is in order and applications completed and submitted, the interview, or more specifically, the interviewer, is the last bastion between a job seeker and the position.